What gift should you offer the food traveler in your life or perhaps yourself? 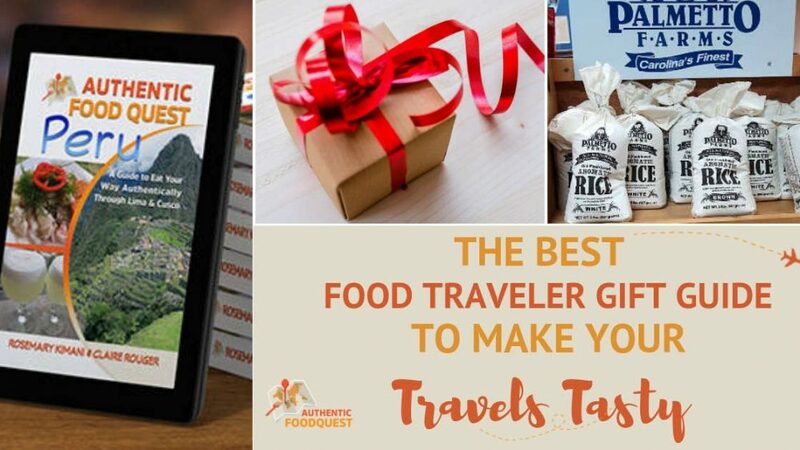 If you find yourself short on ideas to find yet another gift for a food traveler, relax, we have you covered. The good news is at Authentic Food Quest our mission is to explore local flavors on our travels and help travelers do the same. Over the past three years, we explored local flavors in South America, Southeast Asia, part of Europe and the U.S. 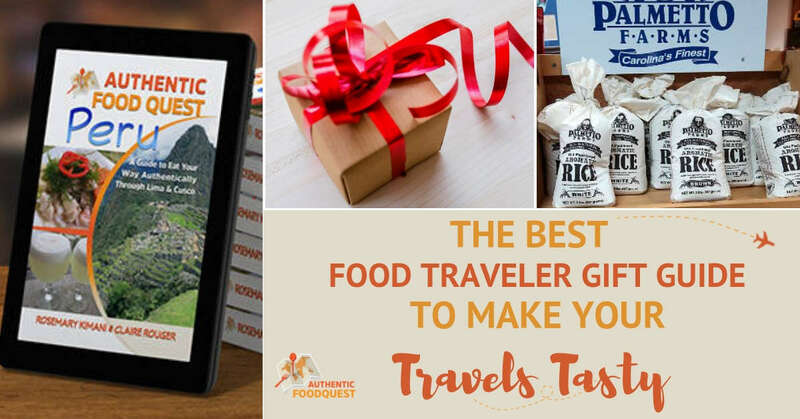 This comprehensive food traveler gift guide will help you and the food travelers in your life prepare for their next food adventures. There is no better way to experience local food than with locals themselves. When traveling to a foreign destination, taking a food tour or a cooking class is a great way to meet locals. It is also a wonderful way to start a trip and better understand the food culture and local specialties. With Authentic Food Quest partners, you can be sure to find the perfect gift for local food experiences. Context Travel keeps surprising us with new and delightful food tours. With small groups and expert docents, they bring a unique knowledge to their tours. After Paris Chocolate and Pastries tour in France and Chinatown Food Tour in Bangkok, this year we experienced a food tour in Lisbon. We enjoyed tasting the iconic foods of Portugal and learning about Lisbon history as well. Don’t feel limited by these three cities though, Context Travel has tours in Europe, Asia, North America and South America. Now Context Travel offers gift cards where you can specify the amount you want to offer. A wonderful gift for the curious food traveler, hungry for new food stories. In the US, we spent a few months in Las Vegas and we were surprised to find a thriving food scene beyond the Strip. With the Downtown Las Vegas Food Tour led by Taste Buzz Food Tours, we learned about the history of the city in a fun and entertaining way. We enjoyed it so much that we went on the Las Vegas Strip Food Tour to find about the local dining gems within the strip food scene. A truly delightful time to get you away from the casino experiences. This year we partnered with Cookly as Cookly Ambassadors. We are excited to bring you this partnership with a website that offers authentic cooking classes in many culinary destinations around the world. Referred to as the “Airbnb for cooking classes”, you can book authentic cooking experiences directly on their website. You can also choose to offer a Cookly gift card which starts at $25 dollars. For additional resources on food tours and cooking classes, feel free to browse Authentic Food Quest Resources. You will find additional information about other food tours and cooking class partners we’ve worked with in the last three years. One of the joys of traveling is discovering new ingredients and spices. In our last guide, we highlighted Kampot Pepper, Maras Salt and Lemongrass. This year we feature emblematic ingredients from trips to Portugal and South Carolina, USA. Portuguese Olive Oil – While in Portugal, we were amazed by the high quality and abundant use of olive oil in Portuguese cooking. We learned that olive oil is a vital ingredient in Portuguese cuisine and it is found on every dinner table and used throughout. Carolina Gold Rice – Carolina Gold was once the most popular rice grown in America, but it nearly disappeared in the late 19th and early 20th Centuries. Thanks to efforts of researchers and the Carolina Gold Rice Foundation, production of Carolina Gold has been restored. While in Charleston, SC, we tried this native rice and were amazed by its incredible vibrant nutty flavors. It’s no surprise some have called Carolina Gold the world’s greatest rice. Grits are one of the essential ingredients of Southern cuisine that we discovered in South Carolina. They are used in iconic dishes like shrimp and grits and are eaten morning, noon or night. Make your favorite grits recipe using Palmetto Farm’s “non-GMO corn that is stone-ground the old-fashioned way. For more ingredients and other unique ingredients we’ve discovered on our travels, feel free to browse the Authentic Food Quest Store. While in Argentina, we had the pleasure of meeting Francis Mallmann in Buenos Aires. He shared insights about the fascinating Argentinian grilling culture. His book: Seven Fires Grilling The Argentine Way remains the most popular cookbook amongst Authentic Food Quest readers. It provides the Argentine grilling techniques, tips and recipes from Argentina’s most famous chef. While in Myrtle Beach, South Carolina, we were introduced to a delightful seafood restaurant from chef, Heidi Vukov. Heidi is a 2018 Chef Ambassador in South Carolina. While eating at her restaurant Hook N’ Barrel, we were offered her cookbook Bonjour, Y’all! In this book, Heidi combines her love for cooking and baking. You find traditional Southern recipes with a touch of European flair from Heidi’s origins. When we wrote about the delicious Portuguese cuisine, we often referred to Tia Maria’s recipes for information about the dishes and ingredients. Her cookbook Taste Portugal: 101 easy Portuguese recipes is perfect for the beginners in Portuguese cooking. The recipes are simple and focus on the traditional local foods. Enjoy the most popular Portuguese dishes from Caldo Verde to Pasteis de Nata. This year we also visited Austin and took the opportunity to eat our way through the best Texas Barbecue. We had the chance to experience Franklin’s Barbecue famous savory brisket and sausages, referred, no less, as the best barbecue in the world. The owner Aaron Franklin in his book, Franklin Barbecue: a meat-smoking manifesto tells the nitty gritty of his barbecue process and the Central Texas BBQ style. You get to learn his own story and how he got started in 2009. Now, about 9 years later, he has become the most celebrated pit master. And, Franklin Barbecue has been awarded at all the major barbecue venues and magazines. A wonderful guide to follow in the footsteps of Franklin and make the best barbecue at home. One of the best parts of travel is discovering and eating the local and authentic foods of the region. What’s even better is having guides and food trails that highlight the best local foods, drinks and desserts and where to have them. By taking the hassle out of doing all the research, you are free to enjoy more of your travels. 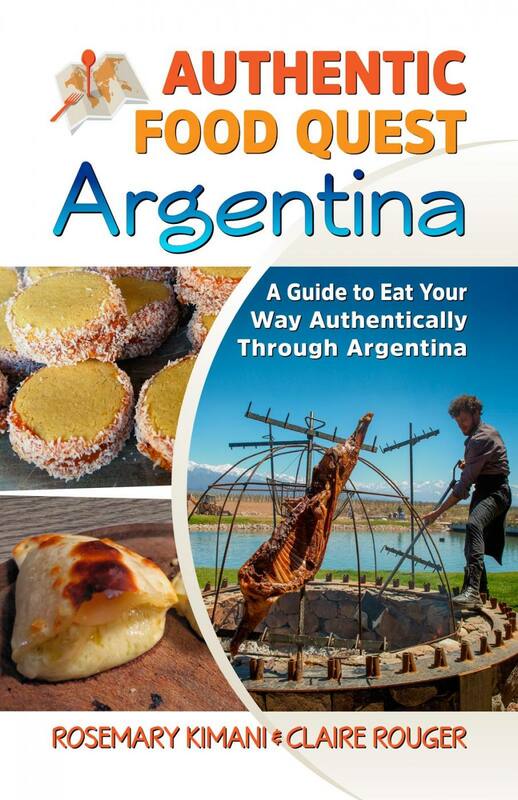 Authentic Food Quest Argentina, our first food and travel guide book, is filled with local Argentine food experiences and travel tips to help you get the most authentic experiences in Buenos Aires, Mendoza and the wine regions, Patagonia and the Lake Region and the Andean Northwest. 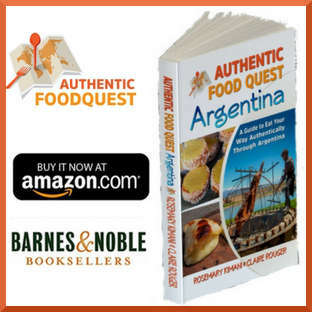 This is the perfect gift for Argentine lovers and food travelers and it is available on Amazon and Barnes & Noble. 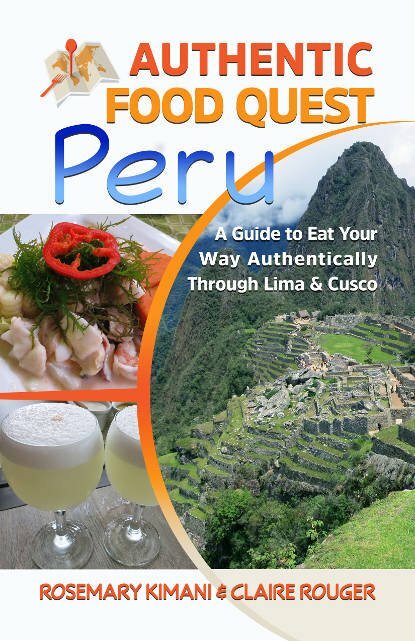 Released in May 2018, Authentic Food Quest Peru, invites you to discover the major cuisine types in Peru, along with descriptions of the authentic dishes, desserts, beverages, street foods and unique produce. Find where to eat like a local in this culinary journey through Lima and Cusco. 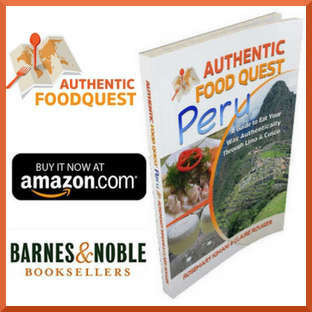 Available on Amazon and Barnes and Noble, Authentic Food Quest Peru inspires intrepid and armchair travelers to take their savory adventures in Peru to a new level. Authentic Food Quest Food Trails are self-guided food trails that take you off the beaten path on your travels and allow you to experience a city through food. 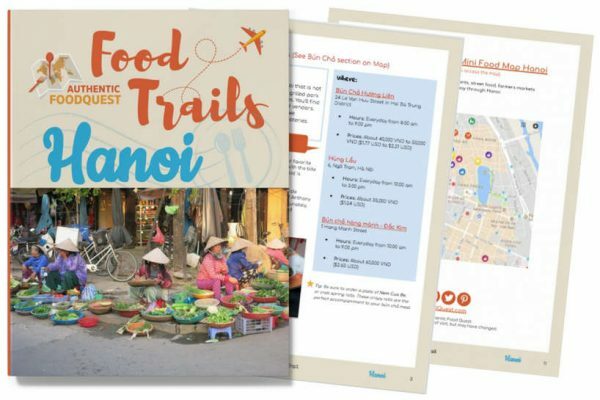 Currently, available are food trails for Bangkok, Buenos Aires, Hanoi and Singapore, cities famous for their flavorsome cuisines and incredible local delicacies. For an overview of the local and authentic dishes, desserts and drinks not to miss, along with a downloadable map with addresses and hours of operations, download your PDF guide today. 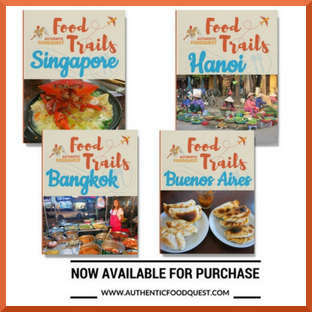 The Food Trails are available for download at Authentic Food Quest Store. 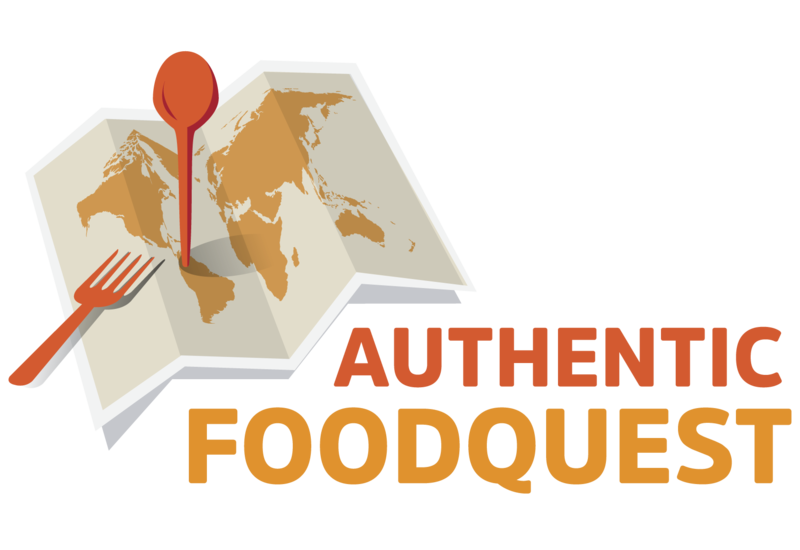 If your looking for inspiration for your next trip, discover new tastes and flavors with Authentic Food Quest Food Trails. Are you traveling to Lisbon? Want to eat like a local? 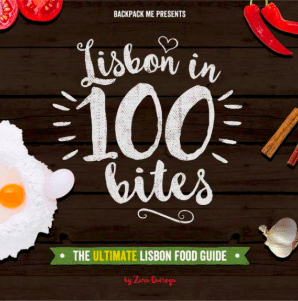 Zara Quiroga, Portuguese native and food writer has put together a delicious e-book, Lisbon in 100 Bites to help you make the most of your travels. Divided into Appetizers & Snacks, Main Dishes and Desserts, you’ll find many of our local favorites included. Download your PDF copy of Lisbon in 100 Bites. In Austin, we attended TravelCon, the first Travel Media conference, and had the opportunity to meet with Landmass. That’s where we first learned about their Travel Tracker Map. As a map lover, I fell in love with this map at the first sight. I thought it would make a perfect gift for food travelers. It is a well crafted map which allows you to plan for your next travels while keeping memories of the countries you already visited. As you scratch off the places you’ve visited, you uncover the map’s bright colors. Scratch off each country and it’s corresping flag as you make your way all around the world. This is definitely my favorite gift for this year and I trust it will make for a beautiful food traveler gift. Having clean and potable water while traveling cannot always be guaranteed. In many countries, safety and accessibility to clean drinking water is a luxury. We were recently given a LifeStraw Go water bottle we love how light and convenient it is. This water bottle protects against bacteria, parasites, chlorine and organic chemical matter such as pesticides and herbicides. While improving the taste of water, the BPA free bottle is perfect for hiking and ensuring safe water while traveling internationally. One aspect we love about LifeStraw is that it gives back. When you purchase one LifeStraw bottle, one child gets one year of clean water. We are excited to share unique packing cubes designed by our friend Alex, creator of Travel Fashion Girl, whose mission is to help travelers pack more efficiently. The Compass Rose line of packing cubes have a one-of-a-kind colored and numbered system allowing you to pack in one of five unique ways. You can pack by weather, clothing items, family member, outfit or destination. When you purchase Compass Rose packing cubes, you get four packing cubes that are the perfect width for carry-ons, and an efficient stress-free travel experience. When it comes to accommodations choices, we always start by searching Airbnb places. For us, Airbnb continues to be the best way to live and eat like a local. We make sure to stay in a home where there is a kitchen we can use. That allows us to cook and try many local products. On our last European trip to Portugal, we shared a Portuguese meal with a family in Lisbon and had a remarkable time bonding over local dishes and shared experiences. This experience would likely not have been possible if we were not staying with locals. If you haven’t use Airbnb yet, try it and get $40 OFF when you book our Airbnb link for your next trip. You can also offer an Airbnb gift card for the food travelers in your life. Over the past three years, we have been house sitting many times while traveling within the US. What we enjoy the most is living like locals and getting to know the local food scene. To find house sits, we use the Trusted Housesitters platform that connects owners with house sitters. They offer house sits all over the world and you’re sure to find a destination of your liking. You can join Trusted Housesitters by clicking on our referral link. If you join through our link you get 25% off your yearly membership and we get to enjoy two free months. Give yourself or the food traveler in your life the gift of traveling and exploring local flavors. Embrace the local food experiences and travel deeper. Connect with the locals and above all else, have fun and eat well. Disclosure: Please note, we get a small commission from purchases made using our links at no additional cost to you. This helps us continue our quest for authentic food around the world. Thank you for your support! This guide is chock full of great ideas for people who truly love food culture. Very impressive list! So true, Deborah. The opportunity to make the local dishes is so rewarding. Where was your favorite cooking class? Cheers. I could do with some cooking classes, since I am so used to repeating my meals that learning how to prepare new ones would sound fun. I also like food tours. That’s one of the beauties of cooking classes. Not only do you learn new recipes, but you also realize they are not that difficult to make. Where’s been your favorite cooking class? Thanks Joan for stopping by. Food is such an important aspect of travelling! That map is so cool, I just have a normal scratch map, but I like this one too! 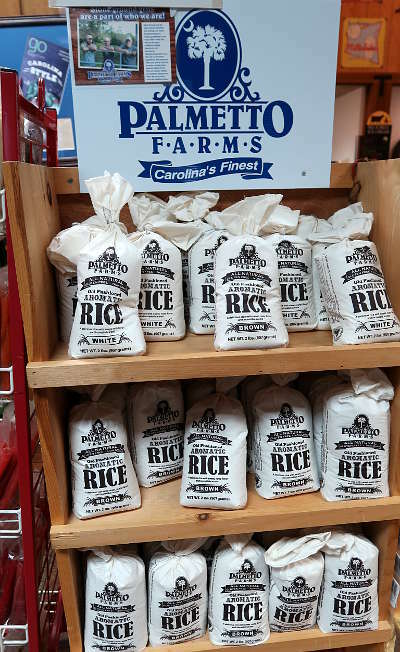 I live in South Carolina and Palmetto Farms is my go-to for grits. I just made some of their stone-ground grits this morning and they were so delicious. Awesome to hear Alli. How do you make your morning grits? Awesome to hear about Palmetto Farms grits, everyone we met raved about them 🙂 Cheers. These are some great ideas for food enthusiasts. I think cooking classes would be a great experience! So glad you like the ideas, Terri. You can’t go wrong with cooking classes at all. Feel free to check out Cookly for an amazing experience. There are a lot of interesting food guides from around the world. It is so beautiful to know a country by its food culture! Well stated, Catalina. We believe that traveling through the local food, makes for a richer and deeper travel experience. Thanks for stopping by. I really enjoyed this post. I can’t wait until my next travel adventure to use some of your tips. That’s great o hear Tasheena. Is there any particular tip that stood out to you? Cheers. I love cooking classes. It’s a fun way to learn a new skill and experience local cultures and flavors. Cooking classes are a lot of fun and a wonderful way to “taste” the local culture. I think it would be so much fun to travel somewhere abroad and take a cooking class! I need to look into this the next time I travel! You’d love the experience of a cooking class abroad. Cookly offers numerous classes all over the world. Do check them out on your next trip. Cheers. We’ve done a few food tours and tastings. They are a lot of fun. This looks like such a great guide for the traveler and food enthusiast. It definitely is a great experience to broaden one’s horizons with food. You are right Jenn, local food is a unique way to experience the local culture and broaden one’s horizons. So glad you liked the guide. Wow, such a nice given guides with full of ideas. Actually, tasting and eating local foods in every travels that I have are the best experience that I ever have. That’s wonderful to hear Gervin. Do you have any local specialties that you absolutely loved? In which country? Follow along for tips and places to eat local and authentic. Cheers. I don’t know about a cooking class because I’d be the worst one there lol! But I’d love food tours and cookbooks. Food tour is also a wonderful way to explore the local flavors. As is cooking recipes from cookbooks. Where have you taken food tours? Cheers. 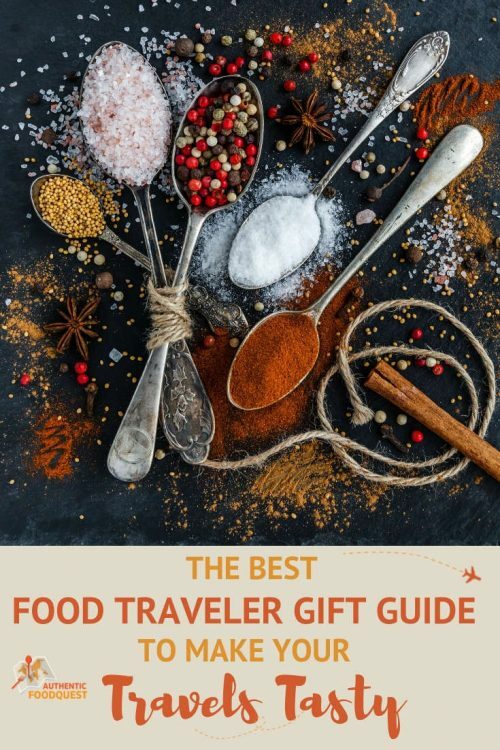 Great gifts for my food traveling friends. Me personally, I’d love to take some cooking classes, for the experience. Very nice idea I would like cooking class as gift. Great for food enthusastics. I would most appreciate tasty ingredients like the expensive saffron or authentic Chorizo de Bilbao, for example. But food tours or food trails would also be great. These are such great choices for a foodie traveler. I loved the idea of those books. Thanks Indrani, so glad you like the books. Yes, indeed, feel free to share with friends. Appreciate the support. I agree that food tours and cooking classes are great gifts. 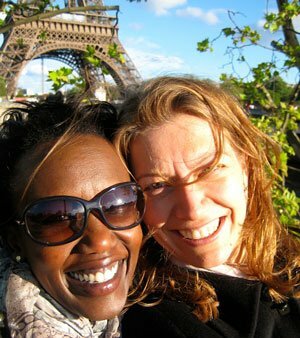 I know someone who would love a Paris chocolate tour! We do love to bring back local foods and wines as gifts. The only souvenirs we buy now. Cook books might be a good idea for an aspiring chef friend of mine. Thanks for some suggestions for the coming holiday season. Thank you Linda. So glad you enjoyed the gift suggestions for tasty travels. Indeed, please feel free to share with friends. Thanks for stopping by. I love doing cooking classes, actually my brother bought me a cooking class last year and we both went together which was great – a lovely experience to share. I haven’t heard of Cookly before so I’m definitely going to check that out, it sounds right up my street! That’s great to hear Claire. Where was the cooking class? It’s fun to take a class with a friend or family member. Yes, do check out Cookly for experiences all over the world. Thanks for stopping by. I always enjoy food tours, so the Context Food tours would be a good gift for me. Although, after having read this, I think it’s the Franklin BBQ book might be what I want for Christmas – I love BBQ and would love to learn more about the techniques! You’ll not go wrong either way Hannah. Either of those are great gifts…be sure to share this article as a hint 🙂 Cheers. I haven’t heard about Cookly before. It’s exactly the kind of site that I like to use and have made a note of it for the future. I always buy a recipe book or two on my travels and find that not only do they make excellent gifts browsing through them always brings back wonderful memories of my travels. We are not avid foodie travelers but we love to try local foods. Food tours and cooking classes definitely one of the best ways to learn about the local culture and they would make for a great gift for any traveler. We personally love buying indigenous spices and local food products to take back home as souvenirs and gift items. 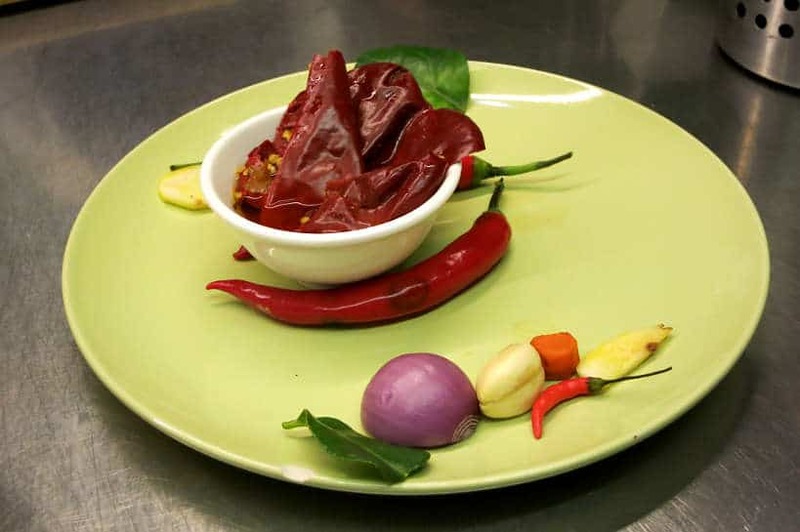 Food tours and cooking classes are a way to get a deeper understanding of the local foods. Once you learn about the local spices or cook with them, you have a unique story to share with friends when you give them as gifts. Glad you found experiences that suit your travels. For me, good food is one of the most important aspects of life, not just travel. Bad food can totally ruin my day…seriously. We have recently started enjoying food tours to enhance the experience of our trips, both locally and abroad. Love all the ideas you have shared in this post. That’s great news to hear that food tours are now becoming a part of your travel experience. You are right, bad food can completely ruin a trip. So glad you enjoyed the article. Thanks, Punita. I love this round up. Your blog inspires me to try authentic foods while traveling. I even took TWO cooking classes in Florence, but that was Italy so not sure it counts as branching out lol. Awesome Sherianne, happy to hear you took cooking classes on your travels to Florence. That is eating local and that’s what counts. Did you have fun? Cheers.